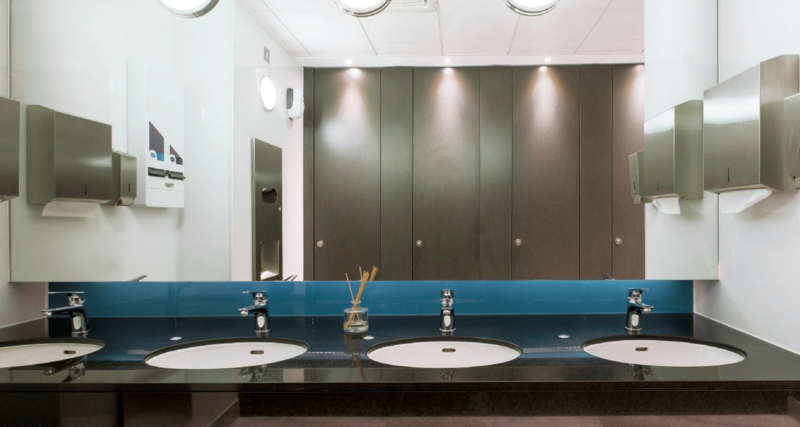 We worked together with Zentura to complete this prestigious central London office refurbishment, providing 12 washrooms over 6 floors – transforming facilities for over 100 international lawyers working in the facility. 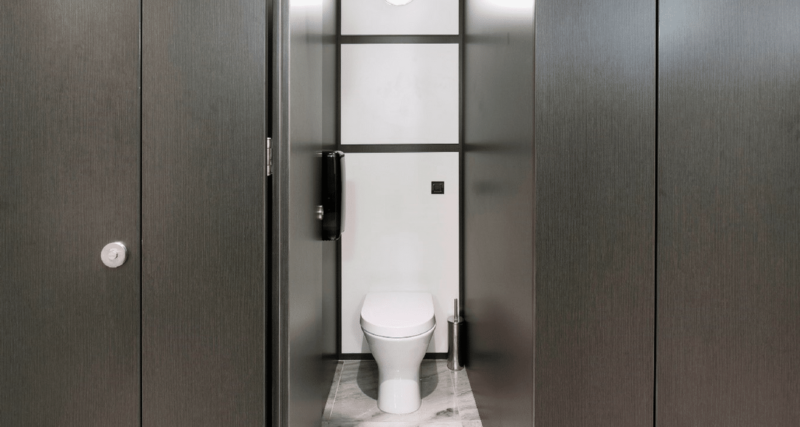 We utilised our full height Vista cubicles, the ultimate choice for privacy, with matching divisions, doors, pilasters and duct shadows in African Wenge. 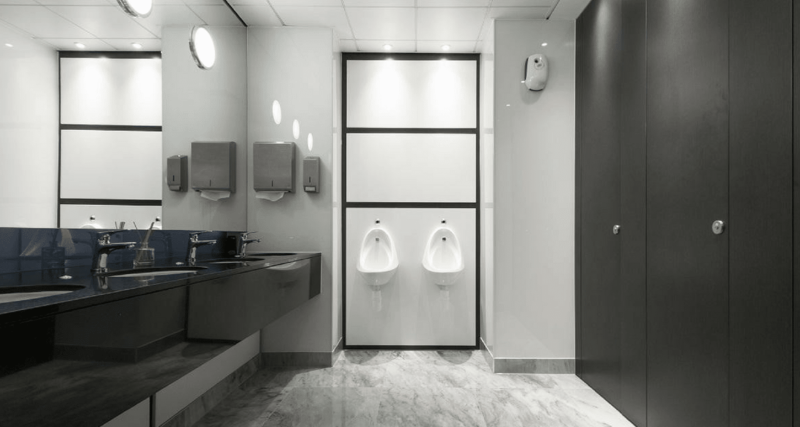 Bespoke double divisions were designed to achieve enhanced privacy requirements. 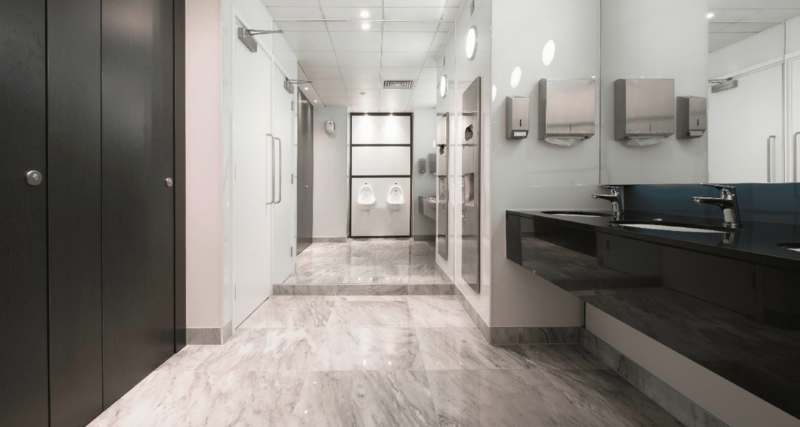 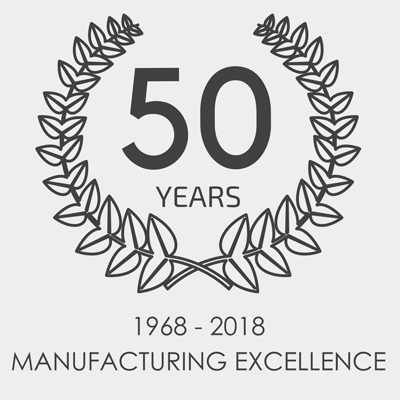 We also provided vanity access panels in Luna White to complement the clean look of polished stone vanity tops and full width mirrors.